Addresses: 600 N. Glebe Road, 616 N. Glebe Road, 624 N. Glebe Road, 640 N. Glebe Road, and 525 N. Thomas St. The 269,558 sq. 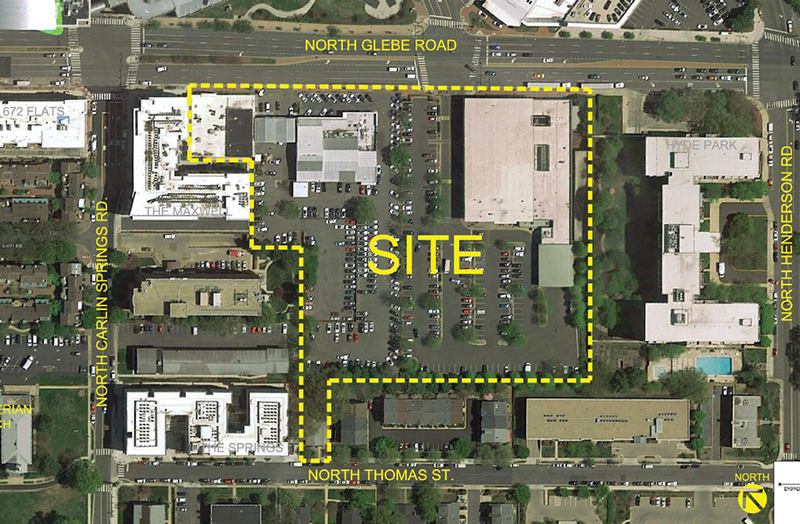 ft. (6.1 acre) site is bounded by North Glebe Road (north) and North Thomas Street (south). Removing 600 N. Glebe Rd. (Harris Teeter) and 525 N. Thomas St. (119,089 sq. ft. total), from SP #72 and incorporating it into SP #315. 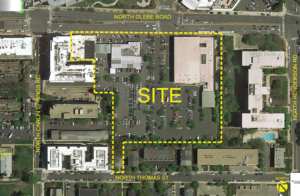 Further, incorporating 616, 624, and 640 N. Glebe Road (ASC properties) into SP #315. From “High-Medium” Residential Mixed-Use to “Medium” Office-Apartment-Hotel for a portion of 600 N. Glebe Rd. 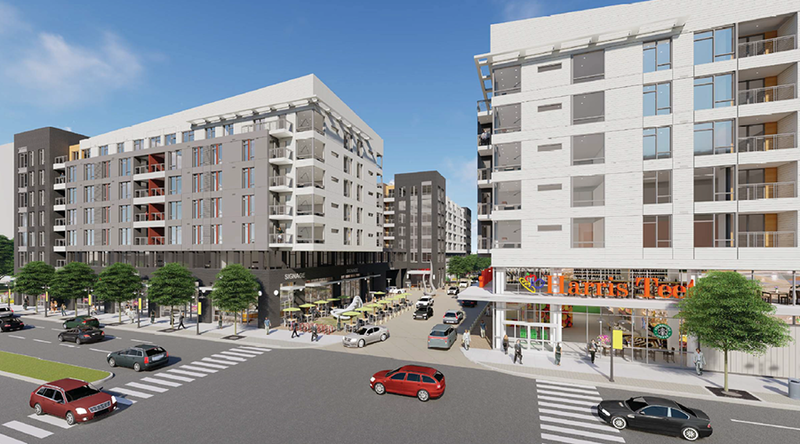 From “Low-Medium” Residential to “High-Medium” Residential Mixed-Use for 525 N. Thomas St. Note: This is a review of the applicant's Concept Plan. Concept Plans are an early, high-level look at a development proposal before a developer makes a formal submission of a full 4.1 application. Concept Plans are reviewed by County staff and do not have the level of detail of a complete 4.1 Plan. Afterwards, staff will prepare a report for the applicant, intended to identify major issues early-on in a potential site plan application, and to give the applicant an opportunity to address those issues before formal filing of a 4.1 application. 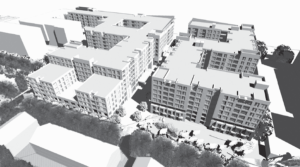 Therefore, the Concept Plan and subsequent submitted 4.1 Plan will differ and some issues raised by staff in the Concept Plan review may have been resolved prior to the 4.1 application.